A missing 54-year-old is being held by authorities, his family said. 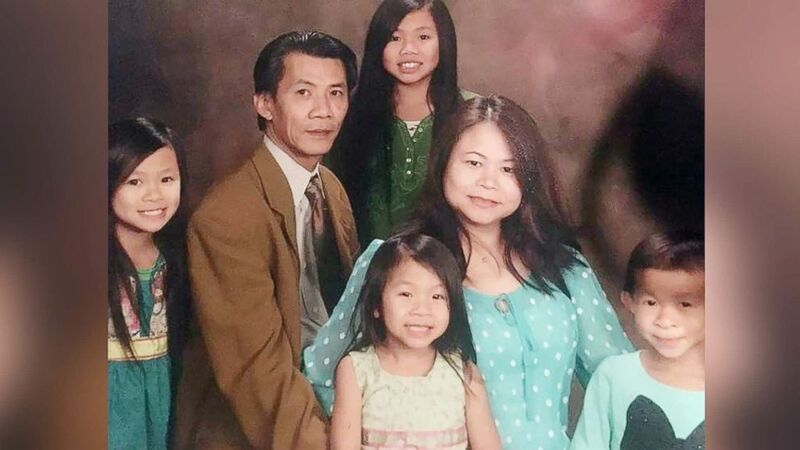 camera (Nguyen Family) Michael Nguyen, a 54-year old American father of four missing in Vietnam, is seen here with his family in an undated photo. A 54-year old American missing in Vietnam for nearly a month is being held by Vietnamese authorities, his family and a congresswoman announced Thursday. Detained without charges, he is the second U.S. citizen recently arrested by the government amid a widening crackdown on human rights and protests in the communist country. Michael Nguyen, a father of four from Los Angeles, was visiting family and friends when he was last heard from July 6, according to his family. After a frantic search, during which they were stonewalled by the U.S. embassy and the State Department, they learned this week he had been arrested July 7 and is under investigation for "activity against the peoples' government." 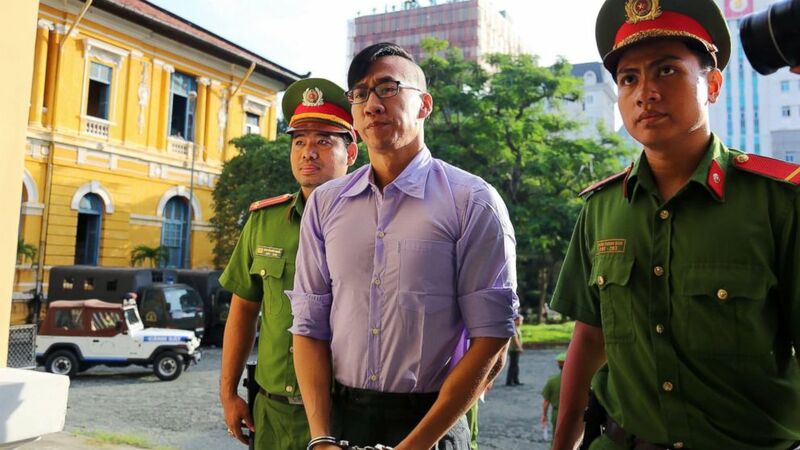 The State Department declined to confirm his arrest Thursday, but the family and their congresswoman, Rep. Mimi Walters, D-California, said that the U.S. Consulate General in Ho Chi Minh City informed the family of his detention on Tuesday. Nguyen left for Vietnam on June 27, keeping in sporadic touch with family through text messages and emails. But when traveling back to Ho Chi Minh City from Da Nang on July 7, he was arrested under circumstances still unknown. His family thought the lack of communication was possibly because of the poor reception in a developing country or even the Vietnamese government shutting down communications. Although Vietnam has modernized and reformed over the past couple decades to allow for some more economic freedom and human rights, it's still a communist country with one-party rule. It now has strong economic and diplomatic ties to the U.S., which has at times shied away from criticizing the government, to steer it away from Chinese influence. After the silence, a family friend went to pick up Nguyen at the airport on July 16 -- but he wasn't on the flight. That set off a two-week scramble as his family filed a missing-persons report and contacted the U.S. embassy, the State Department and the offices of Rep. Walters and other members of Congress. But no one had any information. The Vietnamese government had not informed the U.S. mission that it had detained an American citizen, even though they are required to do so within four days. Ten days later, Vietnamese authorities contacted the U.S. to say he was in custody. Still, Nguyen's wife, Helen, and their family and friends largely were left in the dark. Because of a 1994 law called the Privacy Act, U.S. officials cannot give out any information about an American imprisoned without that citizen's written consent, even to family. "We're really completely in the dark, with no information," Christine Nguyen, Michael's sister-in-law, told ABC News last Friday before the family was informed. While they believed Michael had been arrested, they weren't sure if he'd been killed. Nearly daily calls to the U.S. consulate provided no information, even after officials knew he was alive and detained. But until a consular officer could visit Nguyen and have him sign a waiver, they were unable to provide details -- instead even suggesting the family call Vietnamese detention centers in the area, providing them with phone numbers to do so. Christine said those calls were like pounding sand, with Vietnamese officials denying his detention and giving the family other numbers to call, to no avail. Some relatives was able to meet with Rep. Walters's staff on July 27, which "gave the family confidence that locating Michael would soon be possible," according to brother-in-law Mark Roberts. But it wasn't until a consular officer was finally able to visit Nguyen at a detention facility in Ho Chi Minh City on July 31 that they learned he was alive and well. The officer reported back that he appeared to be in good health, although he did request a medical evaluation, the family said. Now begins the trying journey through the Vietnamese legal system. Nguyen has not been charged with any crime because authorities are still investigating -- a process that seems backwards to Americans, but that his family now will have to wait through. That investigation could take three to five months, possibly longer, the family said Thursday. "We ask the Vietnamese authorities to release Michael Nguyen immediately," the family said in a statement. "Detaining anyone without any crime being committed, without any probable cause, is a violation of human rights and international law." (AFP/Getty Images) American-Vietnamese citizen William Nguyen (C) is escorted by policemen to a courtroom for his trial in Ho Chi Minh City on July 20, 2018. If the recent past is any example, however, it should not take that long. 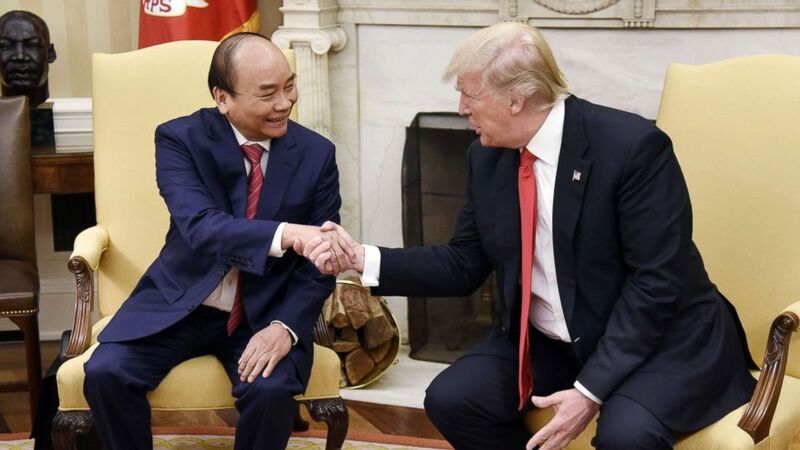 Nguyen's arrest comes just weeks after another American was detained by the Vietnamese government, beaten and bloodied by police while he was protesting in Ho Chi Minh City on June 10. A 32-year old graduate student originally from Houston, Texas, Will Nguyen -- no relation -- was charged with "disrupting the peace" for participating in a peaceful protest -- one of many in major cities across the country against a newly proposed economic policy that would grant special land leases or economic zones to foreign companies and, in particular, the Chinese. After 40 days in custody, Will Nguyen was convicted and deported for disturbing the peace on July 20. It's unclear if Michael and Will were accidentally swept up in the Vietnamese government's push against dissent, or if that sweep is meant to include some Americans to make an example out of them. Either way, it's not likely that Vietnam will detain Michael Nguyen long term, if only to save itself a headache from American officials. Unfortunately, the same cannot be said for Vietnamese citizens.